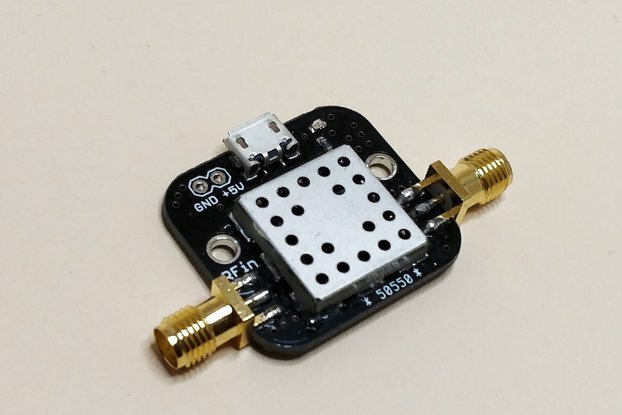 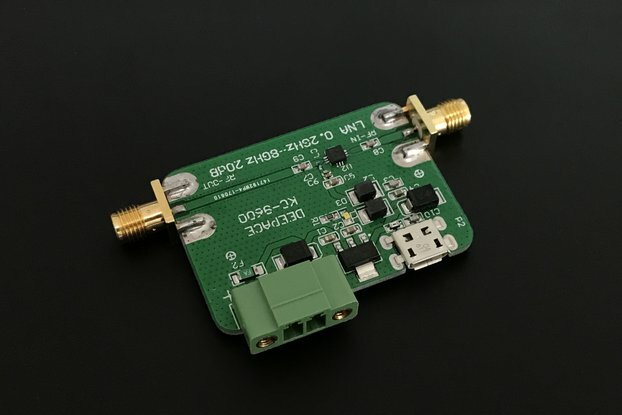 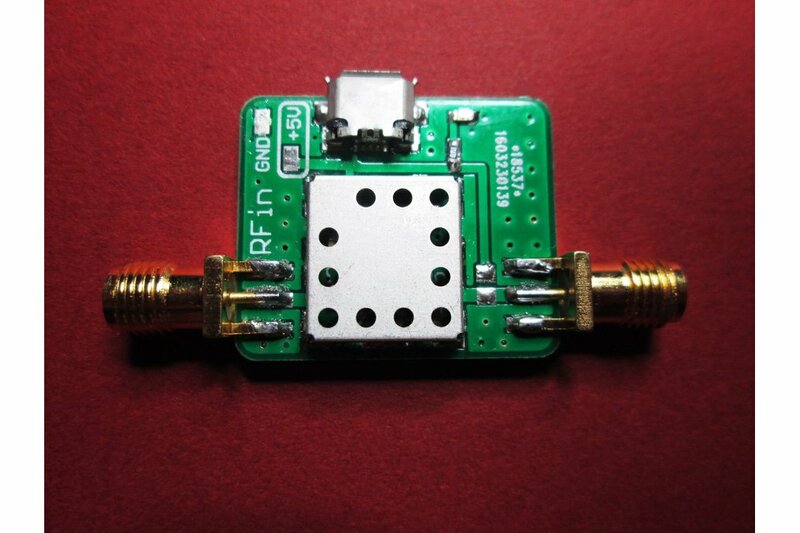 This is an low noise RF amplifier that provides excellent gain and noise figure. 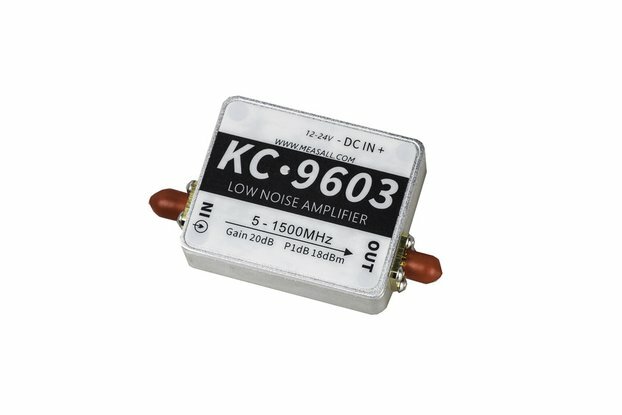 The gain at 100 MHz is 30 dB while the noise figure is 2.2 dB. 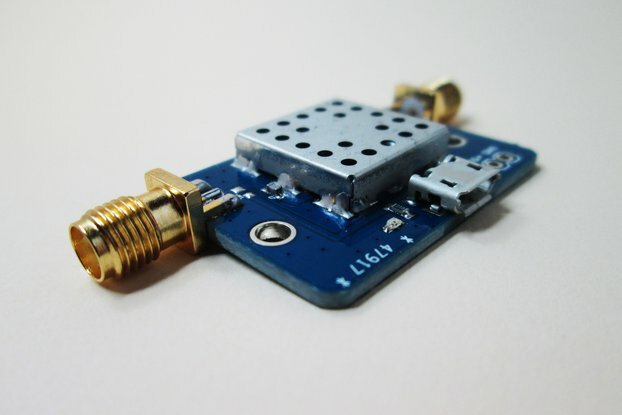 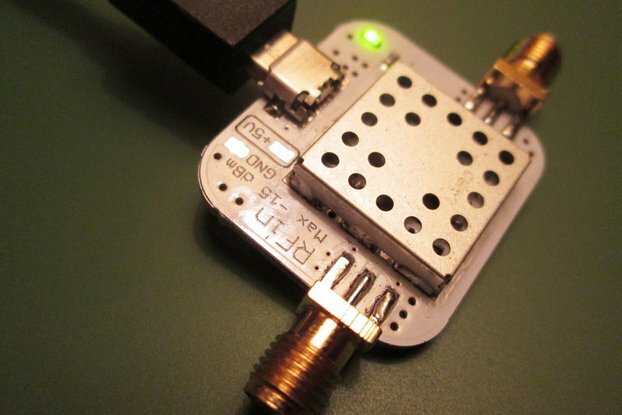 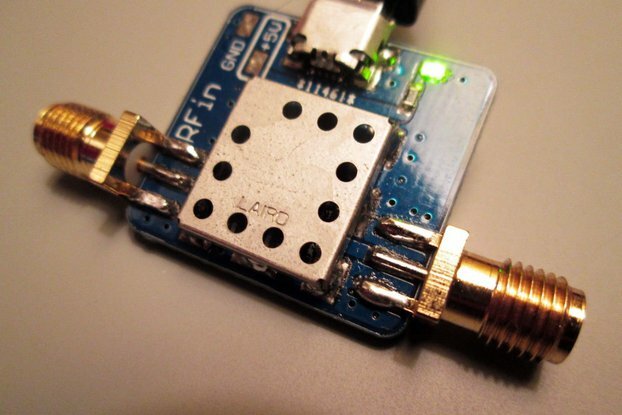 The LNA is ideally suited as a pre-amplifier and the USB power supply means you can power it off your laptop. 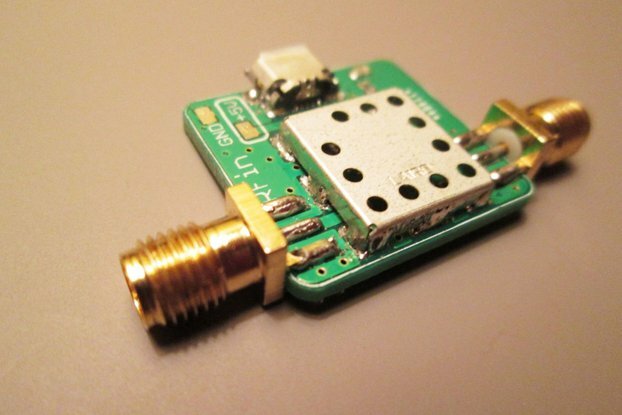 The device can also be powered with the built-in Bias Tee. 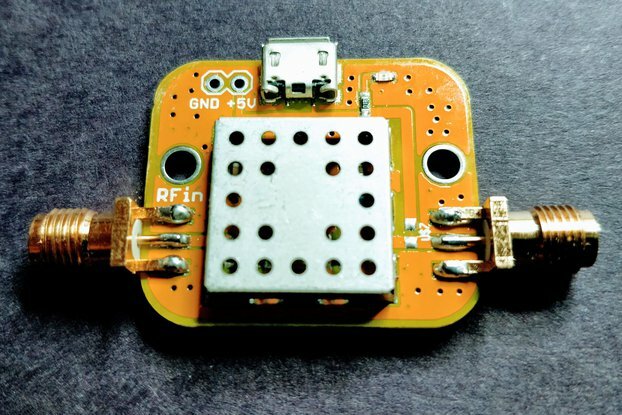 For this, the 10 uH inductor needs to be installed. 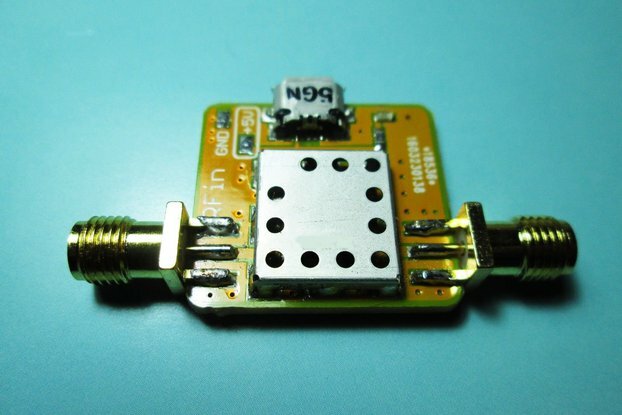 As well, +5V needs to be applied on the RF output line to power the device. 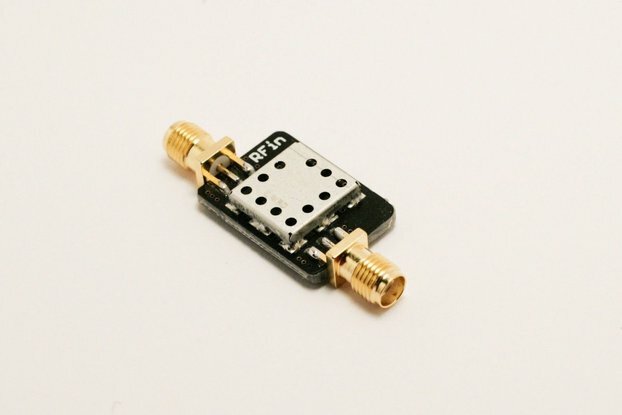 When using Bias Tee Inductor, the LNA should not be powered by USB or using the two-pin header.